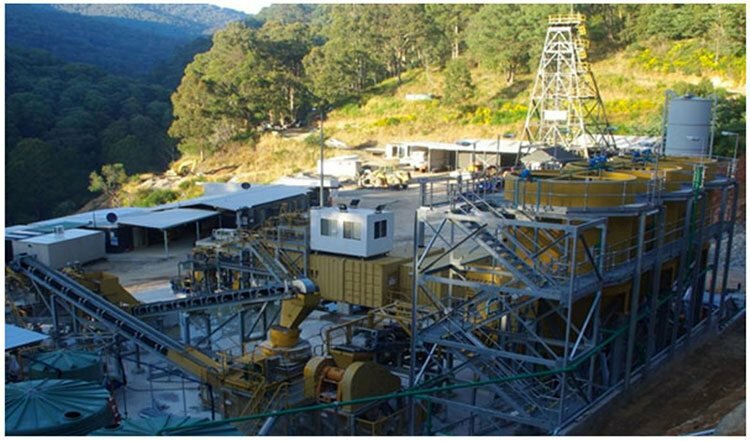 Mantle Mining (ASX: MNM) is set to resuscitate the golden past of the East Victorian goldfields. Last year MNM acquired the Morning Star and Rose of Denmark mines at Woods Point Goldfield, which, by all accounts, was a well-engineered bargain. The district boasts six million ounces of historical high-grade gold production and signs point to significant upside potential at the project. An underground diamond drill programme, which kicked off in June at the Stacpoole zone on the northern limits of the Morning Star adit, has now been completed, with a second phase of drilling underway and more drill core awaiting assays at the lab. The programme tested a new geological model unknown to the mine’s previous owners, which led to confirmation last week of a sizeable block of mineralisation at the Stacpoole zone which can be sampled and trial-mined. The gold reef was intersected with quartz vein thicknesses of between 200mm and 700mm. The first phase of drilling from the Morning star Adit totaled 373.6 metres, drilled in nine locations, with the deepest hole being 33 metres. This encouraged a second phase of drilling to be undertaken. This followed MNM asserting in May that the project’s Kenny zone is distinguished by a substantial quantity of very high grade gold intercepts of up to 17,608 grams per tonne gold . High-grade intercepts were noted over a 150×50 metre zone, including 38.6 grams per tonne gold at 1.5 metres. That’s in an area that has seen no mining and only limited underground sampling in the past. These positive indicators will help MNM identify priority targets at Kenny’s Reef; a vital step at this stage. However, this is an early stage company and investors should seek professional financial advice if considering this stock for their portfolio. In other vital news, MNM has secured new funding of $1 million via a convertible loan facility from sophisticated investors to complete the acquisition of Morning Star, plus an additional $1.5 million via a loan note and convertible note facility to progress the next stage of the gold mine’s development. The company had previously secured $250,000 last quarter via a private placement, helping see it through its current development plans for Morning Star. To boot, MNM has received significant interest from potential buyers of its non-core assets to further boost cash reserves. MNM has a ready resource, an as-new processing plant and a healthy looking balance sheet. While Morning Star is the bones to this company’s business plan, its Rose of Denmark mine, just 15 kilometres away, is drawing increasing interest as development gets going. A definitional drilling proposal has been sent to MNM’s JV partner on the project, with the campaign planned to commence in the very near term. 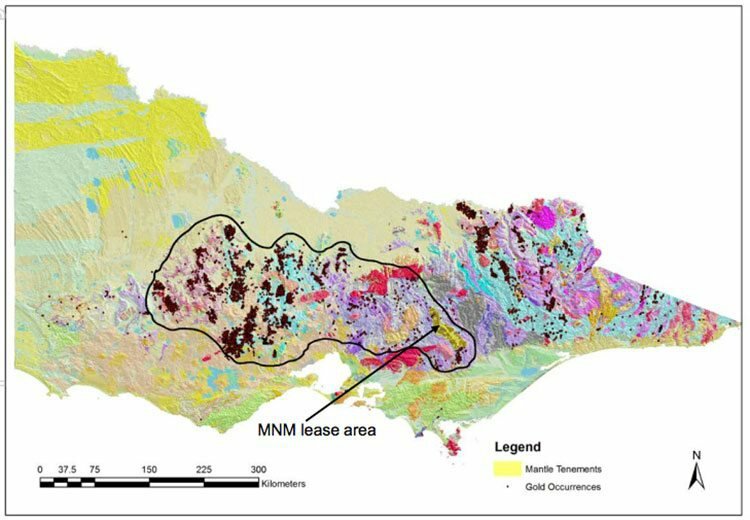 Considering the nature of the Australian gold projects the company has on the boil, MNM could be on the verge of a growth spurt as it looks to increase its small valuation of just $10.6 million . There’s no denying the multiple signs pointing to significant upside potential as Mantle Mining Corporation (ASX: MNM) closes in on its ultimate Eureka moment. Time will tell if MNM has what it takes to add to Victoria’s rich gold production history. The main aim for MNM is progressing its #1 priority — the Morning Star gold mine. Central to the plan has been the rehabilitation of the mine adit in the lead up to a campaign of diamond drilling at the prospective Stacpoole zone. This zone was identified as an attractive opportunity early on in MNM’s exploration activities, with near surface mineralisation close to the existing adit. It was thus pegged as a low-cost prospect. The underground drilling programme set out to make real inroads in identifying future targets, confirm the dyke offset of the zone, and hone in on a block that was suitable for sampling and trial mining. As we said earlier, each of the holes intersected the reef, with quartz thicknesses between 200mm and 700mm. A total of 373.6 metres was drilled in 9 locations, with the deepest hole being 33 metres. This campaign was important because it gives a continued indication of gold grade and let the company determine the position and degree of development of the Stacpoole zone. This is of particular interest since drilling in the broader district is known to significantly underestimate gold grades. However, MNM does remain a speculative stock and investors should seek professional financial advice if considering this stock for their portfolio. There will be more drilling results shortly at the Stacpoole zone with the goal of confirming the potential for reef extension. Results for the zone up to this point indicate that it is significantly below the Age of Progress reef, and therefore could be a lot closer to the adit entrance than first thought. This means that there could be less adit rehabilitation required, meaning time and cost savings, among other benefits. Trial mining may not be far off, and consequently this Morning Star could soon be shining for its new owner. There’s nothing like a bit of breathing room on a small cap’s balance sheet, which is exactly what MNM has with the recent announcement of funding to the sum of $2.5 million. 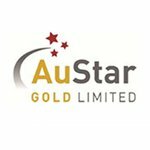 Not only does this injection of cash facilitate the completion of the Morning Star Gold NL acquisition, it also provides capital for the next phase of the mine’s development... as well as providing scope to look into further opportunities in the highly prospective Eastern Victorian goldfields (with historic production of 6 million ounces of gold). In response to the good news, the company opened 14 per cent higher on the morning of the announcement. MNM raised $1 million under a convertible loan facility, while an additional $1.5 million in funding was made available under a loan note facility with $500,000 of those funds immediately available. This, and several other factors, including the advanced nature of the company’s projects, as well as the advantage of already having a processing plant suggest that the company is undervalued. But how quickly that is recognised by the market could all depend on how quickly and strategically MNM can execute its development strategy. In May, the company released encouraging news regarding the high grade Kenny zone at the Morning Star gold mine. Having completed a structural reinterpretation and historical review of the Kenny zone, MNM ascertained that it is distinguished by the substantial quantity of very high grade gold intercepts, featuring drill results of up to 17,608 grams per tonne gold. That intercept was at a narrow width, however high-grade intercepts occur over a recognisable zone of about 150m x 50m in areas where no mining or only very limited underground sampling has been undertaken. Some of the larger widths included 1.5 metres grading 38.6 grams per tonne. What’s also promising is the fact that the Kenny zone is already accessible from existing underground mine development, making it an attractive option to pursue in the near-term and bumping it up the priority list. Gearing up to a possible revaluation? 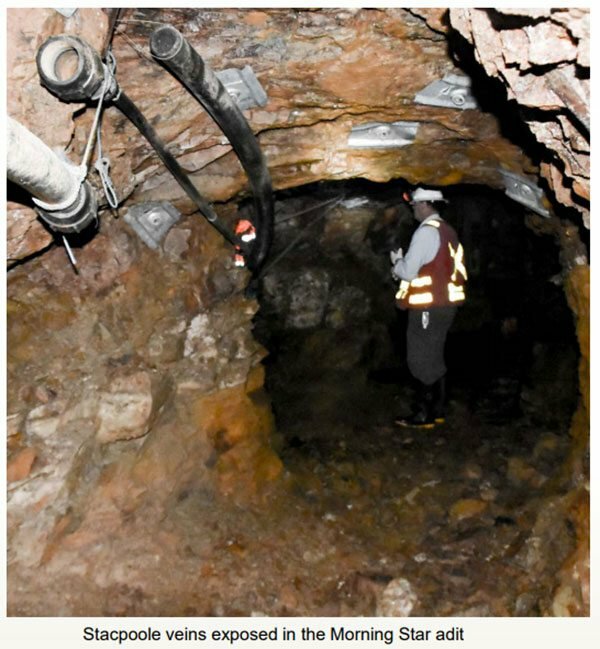 MNM’s Morning Star mine has a historical production of 830,000 ounces of gold at 26.5g/t and has many unexploited high grade zones. Essentially, the company holds almost all the ground in a district with six million ounces of historical high grade gold production. With the current gold price sitting at circa AU$1,600 an ounce, the timing couldn’t be better for this Australian small cap trying to establish itself as a major gold play. With the skillful use of modern day applications and techniques that were unavailable to previous explorers of the area, MNM may just be in a bit of a sweet spot, and on the precipice of delivering immense value to its shareholders.